Having spent his entire career in the field of sports podiatry, Damir offers a realistic, thoughtful and innovative approach to solving his patients pain and foot and leg injuries. He has experience treating English Premier League and A League soccer players, to mums and dads wanting to complete their first marathon. 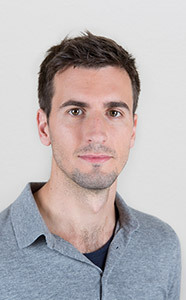 In addition to his clinical work, Damir is a podiatry tutor at the University of South Australia, guest speaker for South Australia Sports Medicine Association, and an avid skier, runner and reader.